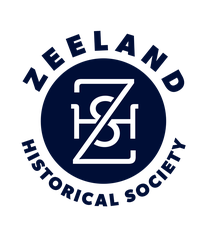 It is an honor to be the new President of the Zeeland Historical Society and to aid in the preservation of Zeeland’s history from the founding fathers to the present day. For the past 44 years the Society has preserved the history of Zeeland with many passionate volunteers to whom we are so grateful. Volunteers and board members have a number of exciting things in the works for 2019 for adults as well as children. In March the schoolhouse and museum will be visited by hundreds of second graders who will learn about Zeeland history and explore our collections. They will also be treated to a schoolhouse lesson in our 1881 building. In addition to our popular hymn sings, the schoolhouse will also be the location for monthly history programs for adults. Program topics to be covered will be Dutch cooking, Victorian fashion, the history of Zeeland service stations and many other subjects. A new program at the Dekker Huis for children ages 3 thru 10 will be offered on the last Saturday of the month beginning in March from 10 until 12 noon. Creative hands-on, learning activities will be provided through this drop in program. For all of our visitors there will be three gallery exhibits. 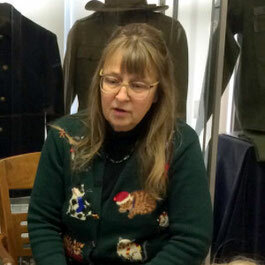 The current exhibit is “Zeeland Winters in Furs and Photos” and will be up through April 30th. Our second exhibit will be of Herman Miller picnic posters which will run through October and will include coordinating activities and speakers for adults and children. In November our Christmas display will go up in preparation for the annual visit of Sinterklaas. For a continually updating calendar, please visit our Facebook page, our website or make a visit to the museum. Lastly, in celebration of our 45th year, the Board has made the decision to look into raising funds for the Society’s first full-time director. The hiring of an experienced director will secure the future of the Society with increased involvement with our schools, the city and charter township, increased hours at the Dekker Huis as well as increased programming and volunteers. If you would like to connect with me, I may be reached by phone at 616-405-0317 or by email. Yes, yes, it is an honor to serve on the Society and 2019 will be an exciting year!! !